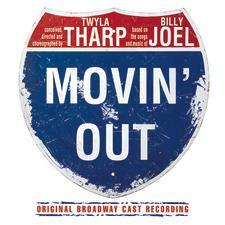 Driven by a dynamic band, an enthusiastic cast, and the songs of Billy Joel, Movin’ Out was a magnificent showcase for Twyla Tharp’s unique brand of choreography. While it detailed the impact of the Vietnam conflict on a group of Long Island youths in the late 1960s, its characters (some named after characters in Billy Joel’s songs) never sang or acted the scenes, just danced them, while the on-stage band provided the musical accompaniment. 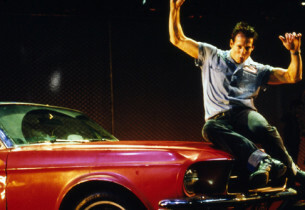 This felicitous hybrid form of entertainment opened to rave reviews at the Richard Rodgers Theatre on October 24, 2002, and ran for 1,303 performances, earning in the process several Tony Award® nominations, with the choreographer winning one for her work, an honor she shared with Billy Joel and Stuart Malina, who got a nod for their orchestrations.